In addition to manufacturer lifetime warranties on products and materials, Homecraft® offers our own 3-year workmanship guarantee. If there is a problem with one of our jobs due to installation issues within 3 years of the completion of your project, we’ll be right over to repair or replace it! This applies to any of our services, including roofing, siding, replacement windows, gutters, patios and doors. After 3 years, Homecraft® Inc. will be happy to service your products, dispatch and labor fees may apply. 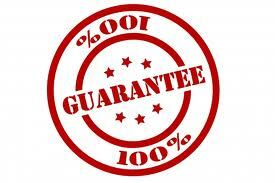 The peace of mind delivered by this guarantee is just one more reason to make Homecraft® your first choice among home improvement contractors Delaware!